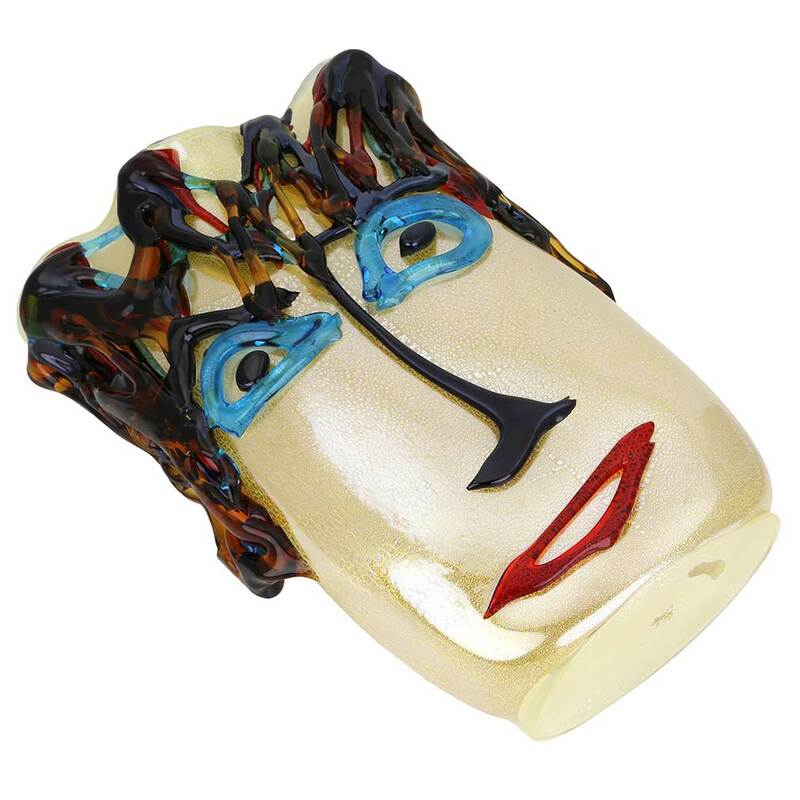 Murano Glass Art has come a long way from its humble beginnings in the 13th century Venice to the worldwide fame it enjoys today. 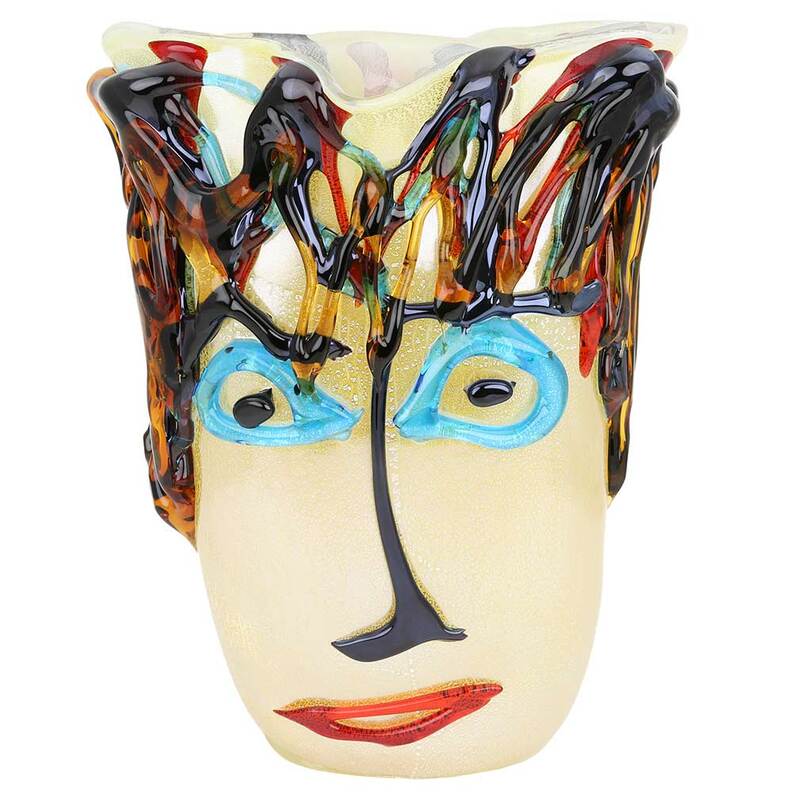 This unique Murano Glass Picasso Head Vase is the embodiment of this dramatic transition, where today's Venetian artists see glass as a perfect medium to evolve the trends started by the best artists of modern times. 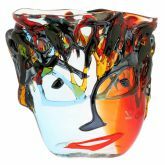 The vase is created in the form of an abstract head inspired by modern artistic movements, with shimmering silver foil lining the face, expressive features, and the full head of funky hair in rich surreal colors. 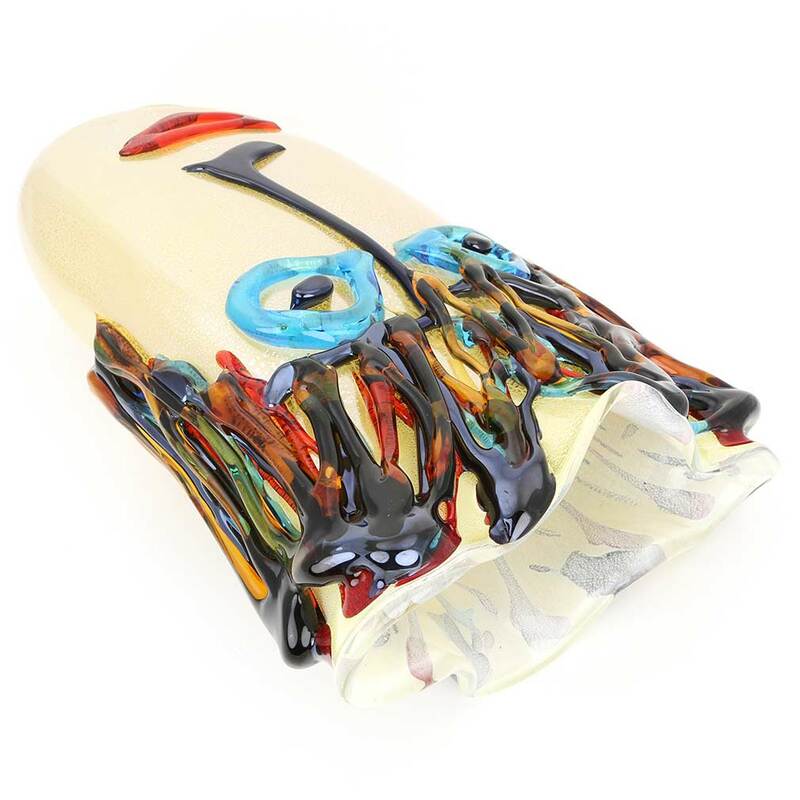 This vase expresses the bold artistic vision helped by amazing craftsmanship of Murano's best glass masters. 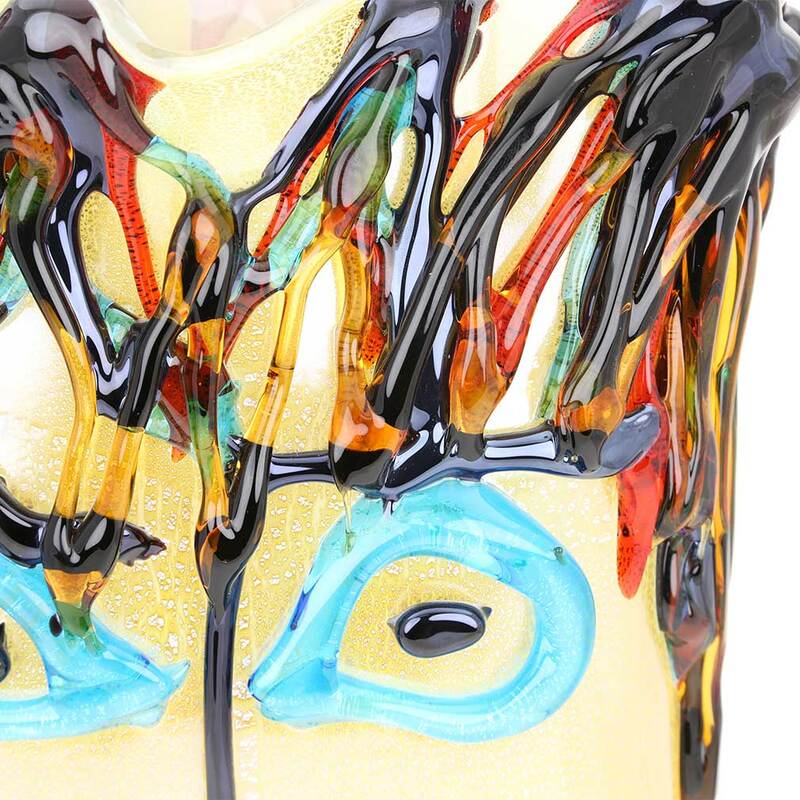 It represents the continuous evolution of the art of Murano Glass and its relevance in today's global artistic landscape. 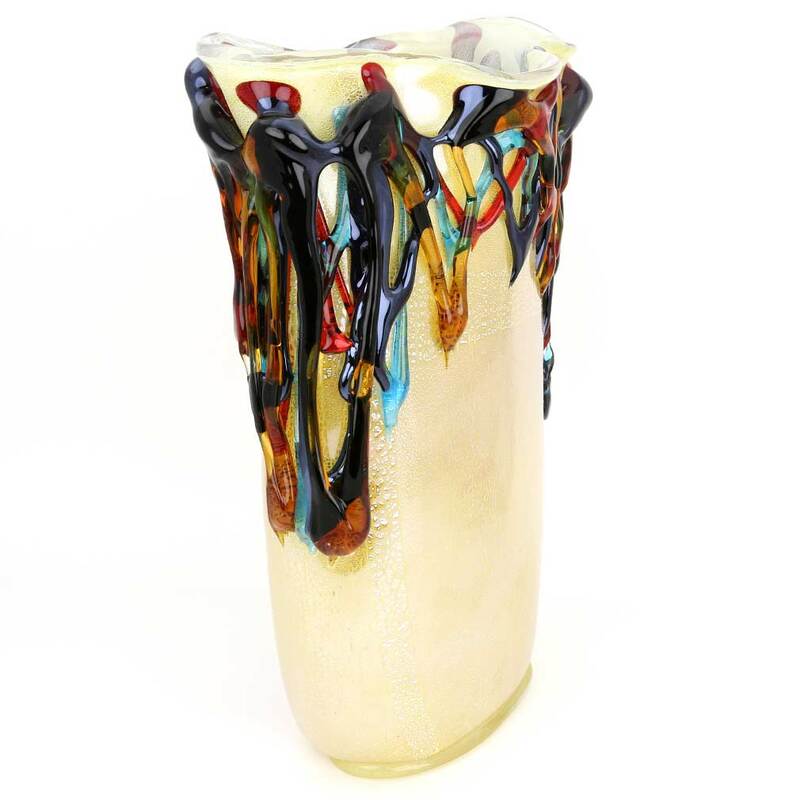 This gorgeous Murano Glass vase makes a perfect gift to those who love modern art and seek unique statement pieces for their home or office. 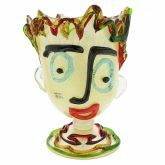 Measurements: Picasso Head Vase measures 14 inches in height, 9 inches in width in its widest (top) part and 4 inches in width in its narrowest (bottom) part. The vase has a sticker of the official Murano Glass Masters' Consortium and is accompanied by the certificate of authenticity. It is very well packaged to avoid damage in transit. 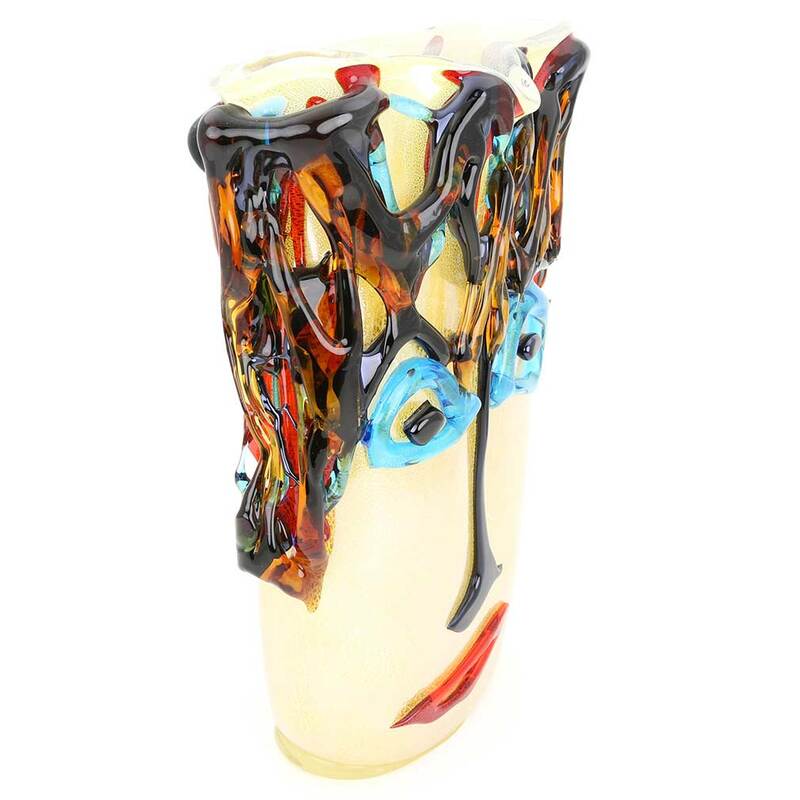 As this Murano Glass vase is a unique piece of art made entirely by hand, some variations of colors and patterns as well as random bubbles inside glass are possible. Very pleased. Delivered quickly and in perfect condition. Would definitely recommend it.